It's been a rough couple of months for Justin Bieber, who's been lashing out at fans from the stage at recent UK shows — simultaneously telling them they have purpose in this world and that they should shut up when he's trying to talk. Things are looking up for the Canadian pop idol, though. At his show last night (November 16) in Frankfurt, Germany, Bieber was so moved by the crowd that he teared up. 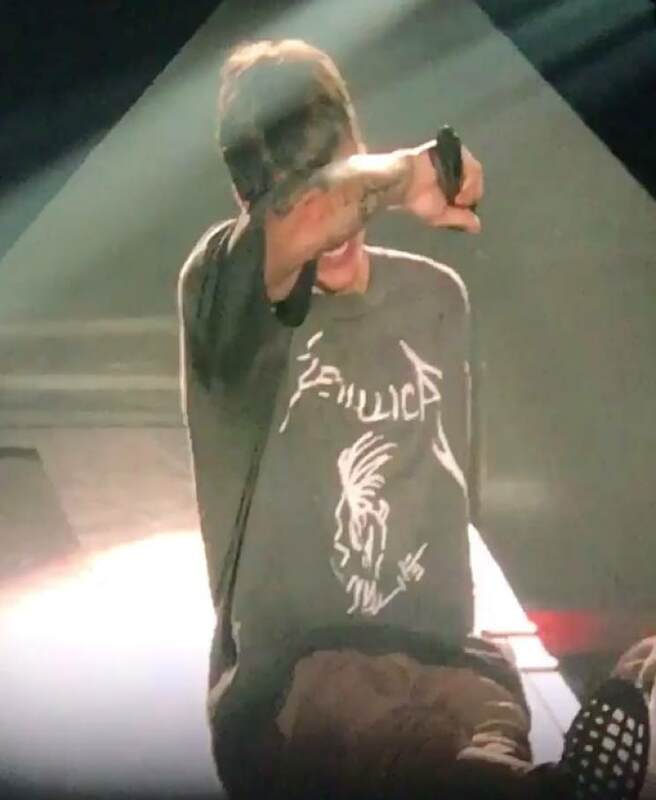 Footage of his performance of Purpose's title track has now surfaced online, and despite the screams from the crowd, he manages to mostly make it through the song — save for a few strategic pauses to lift up his Bieber-branded Metallica T-shirt in order to show off his abs and wipe the tears from his face. It's not the first rock T-shirt he's co-opted for his own merch; the Biebs recently gave a Marilyn Manson top a $200 makeover. Watch clips from the singer's emotional Frankfurt performance below. Pick up the deluxe vinyl edition of Purpose on vinyl here.